This incredible Bracelet is big and beautiful, but made from very lightweight Zinc Alloy, so its easy to wear. 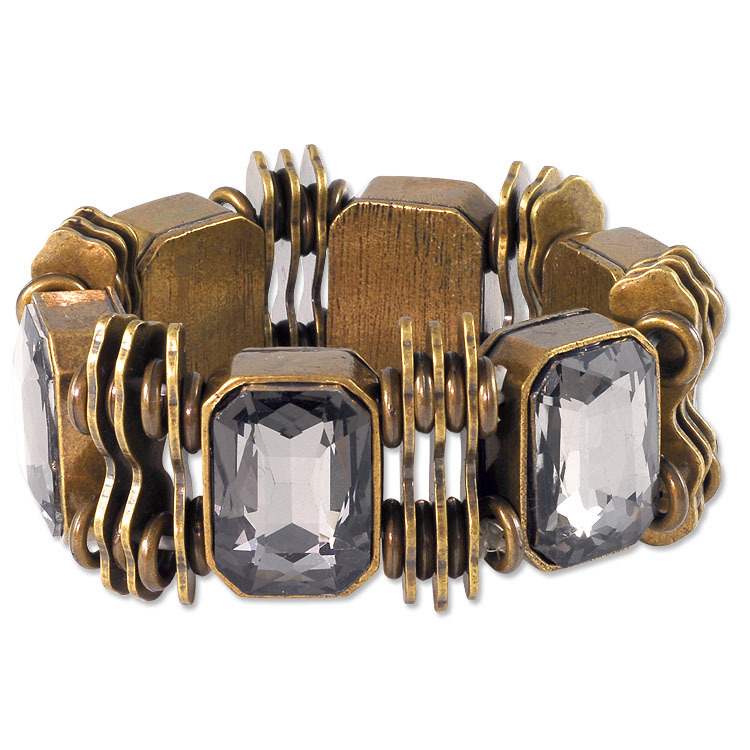 Featuring faceted Black Glass bezel set into the Bracelet to add plenty of sparkle for any occasion. And best of all, its stretchable to fit almost any wrist size.